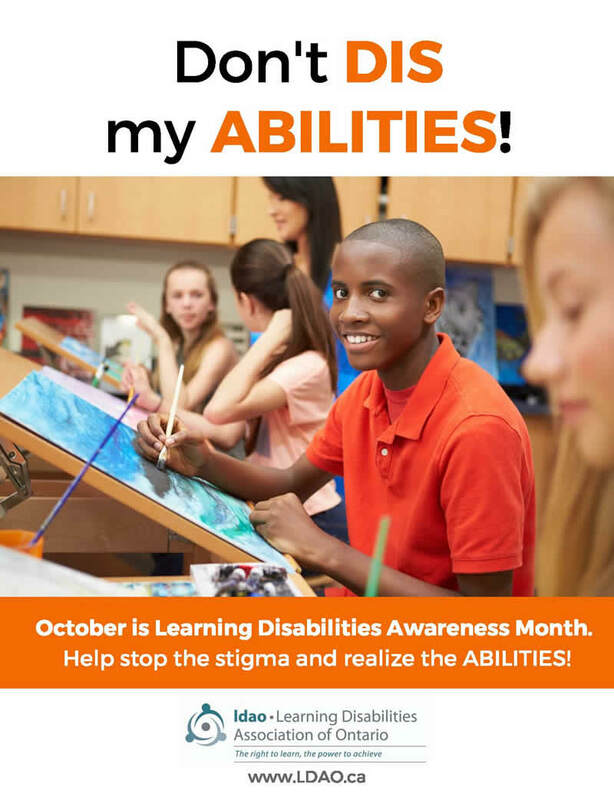 Throughout October the Learning Disabilities Associations of Ontario will be marking LD Awareness month with community events. 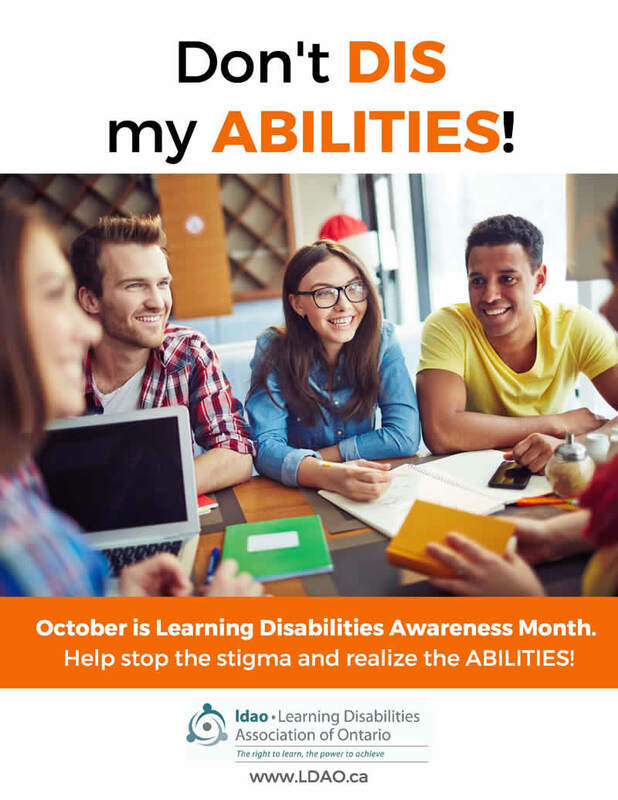 However this month long effort is about more than events, rather it is about raising awareness and reducing stigma to allow people to get the supports they need to reach their potential. 1 In 10 people in Ontario are impacted. 36% of youth in correctional facilities have specific learning disabilities. Together we can change this! However if society helps them to succeed, all of the above statistics can be radically altered, leading to successful lives that can impact our communities for the better and people with learning disabilities can become among the most creative, and productive members of our communities. The greatest hurdle a person with an LD often had to overcome is the stigma and public perception, labelled lazy, stupid or incompetent they begin to hide their disability and instead struggle in silence. Yet with their strengths and above average intelligence some simple support can see them excel in their chosen field. Our hope is to see Ontario as the leader in destroying the barriers stigma creates. 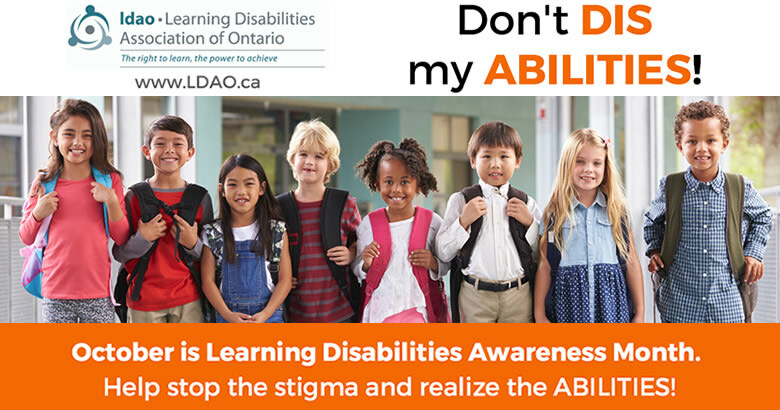 The Learning Disabilities Associations of Ontario are registered charities dedicated to improving the lives of children, youth and adults with learning disabilities. Through the local chapter The LDAs services to the public are provided through a network of Chapters across Ontario. LDAs receive no government funding for their work and rely on the generous support of donors and funders. LDs impact certain skills, most of which can be improved with the right supports. Because LDs usually exhibit in the school system, those with LDs can be identified early in life, and early intervention improves confidence. When they don’t receive appropriate support, individuals with LDs have higher than the average rates of school dropout, unemployment and poverty. LDs can be inherited and many parents are now finding they are have been impacted in their lives as their children are diagnosed. Dyslexia: Difficulties with oral and/or written language, i.e., listening, speaking, reading, and writing. Executive Function: A set of mental processes that helps connect past experience with present action. People use it to perform activities such as planning, organizing, strategizing, paying attention to and remembering details, and managing time and space. 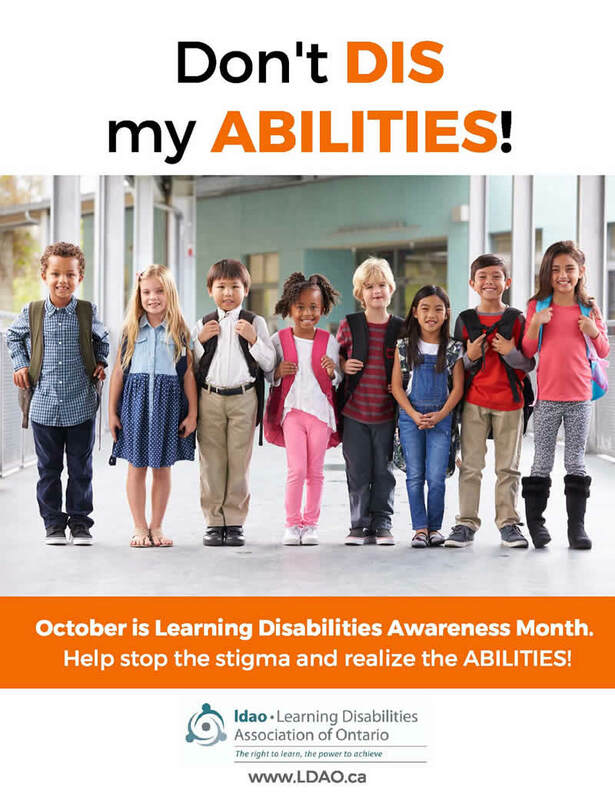 Learn more about learning disabilities. 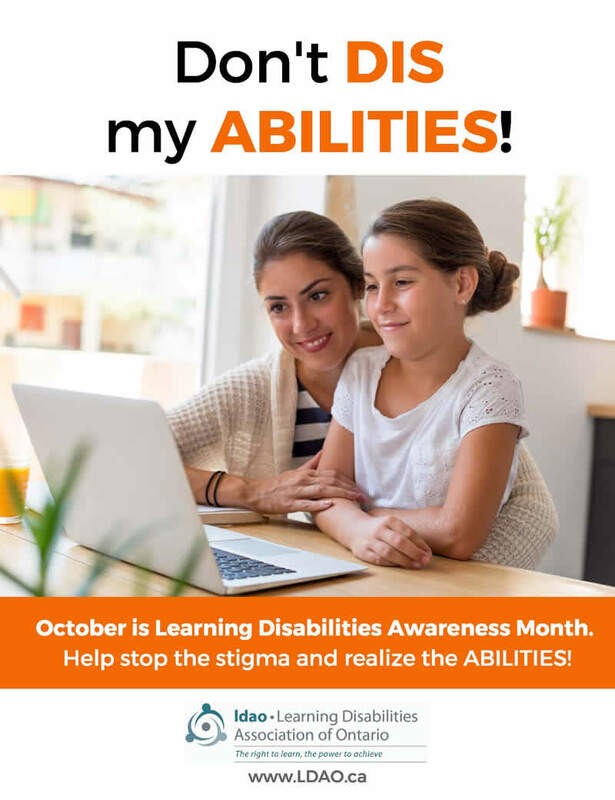 Find out what’s happening in your community for Awareness Month by connecting with your local chapter.